© Academy of Psychic & Spiritual Studies, UK. Mondays 4, 11, 18, 25, from 7.30pm - 9pm; Q&As 9.30pm-10pm. 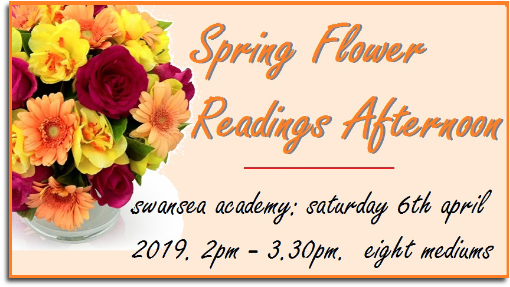 Saturday 2nd, from 2pm - 3.30pm. Pick one of our semi-precious gemstones, and our trained Academy sensitives will 'read' it, and they will also deliver a spirit contact. 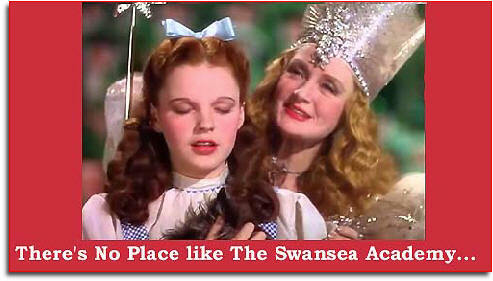 Tickets only £7. 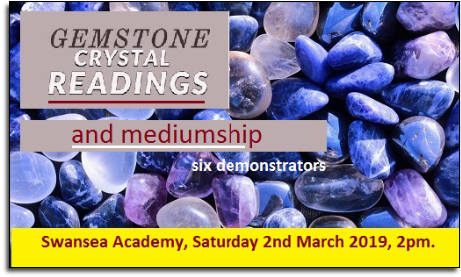 Please note: people who have visited us for day-courses or evening-classes cannot in any way advertise or claim that they have been "trained" by The Academy; only students who are accredited with our diplomas for mediumship or spiritual healing (Dip M, or Dip H) - and whose names are recorded on our official registers - can claim Academy recognition for their mediumship or healing skills. To check any accreditation claim, please email The Administrator. 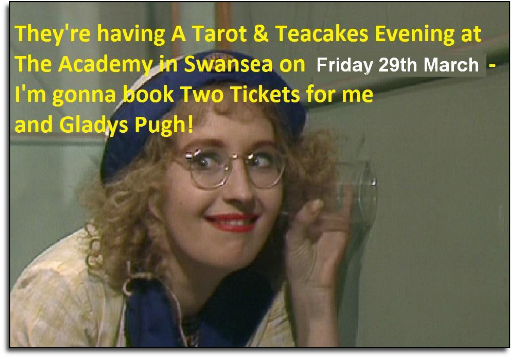 Tarot & Teacakes Evening - Guaranteed Personal Readings (Past, Present & Future), plus delicious Teacakes & Refreshments. Eight Readers! A great way to spend a March evening. What does the future hold for you? Tickets are £12 - Book Now! 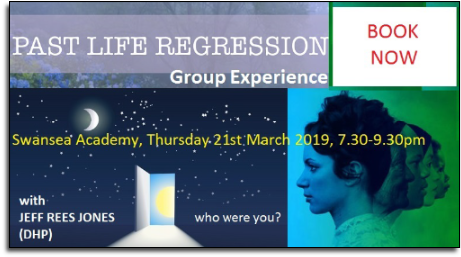 Past-Life Regresion Group Experience, Thursday 21, from 7.30-9.30pm. Tickets are £10 if purchased now, or £12 on the door, on the night (if there is room) Book Now! Mondays 1, 8, 15, 22 (Easter Special; see below), 29, from 7.30pm - 9pm; Q&As 9.30pm-10pm. Saturday 6, from 2pm - 3.30pm. Bring along a flower of a leaf in an envelope, and our trained Academy sensitives will 'read' it for you, and they will also deliver a spirit contact. Doors open 1.30pm. Tickets only £7. 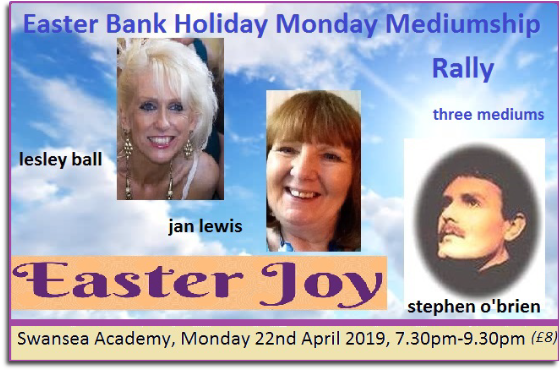 EASTER MONDAY Rally of Mediums, with Lesley Ball, Jan Lewis and Stephen O’Brien. 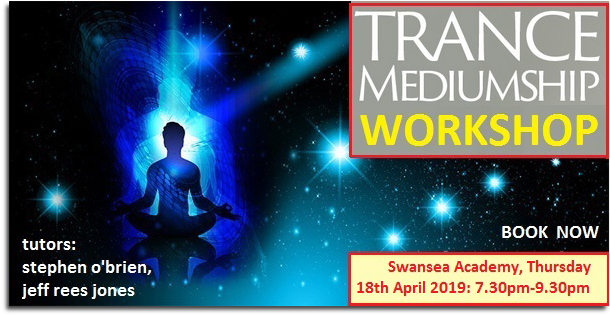 TRANCE MEDIUMSHIP WORKSHOP, Thursday 18, 7.30pm - 9.30pm. Practice your trance skills: suitable for al levels of students from Beginners to Advanced. Conducted by Stephen O’Brien and Jeff Rees Jones. Please book your place/s to avoid disappointment. Tickets are only £10. 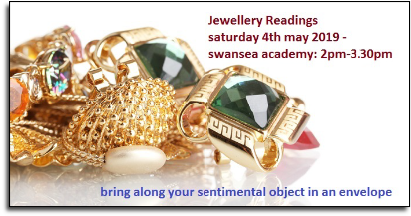 Bring along a sentimental object in an envelope to receive readings from our trained Academy sensitives, and messages from your loved ones..